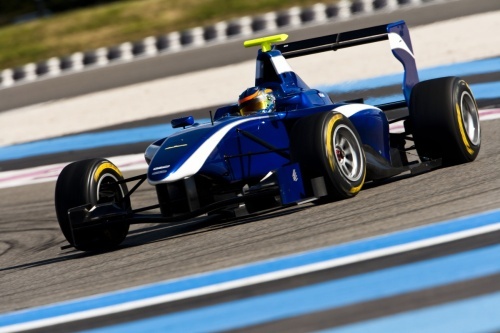 BRDC SuperStar, Dean Smith is to graduate to the brand new GP3 Series this year after signing a surprise deal with legendary British team Carlin. In an agreement which only began to materialise within the last couple of weeks, the 22-year-old becomes Carlin’s first confirmed driver for the inaugural season of GP3 – one of the highest profile categories on the planet which will run, alongside sister series GP2, as support to the FIA Formula One World Championship in Europe. Dean’s step-up to GP3 has been made entirely possible thanks to essential financial backing from the Racing Steps Foundation and driver management company Tomax, support the McLaren Autosport BRDC Award Winner and reigning Formula Renault UK Champion is immensely grateful to receive. “This deal is an absolute dream come true for me”, said an elated Dean, “Even though I won Formula Renault UK last year, and then the McLaren Award, we were struggling to put together a race deal for this season. Then we got the call from Carlin a couple of weeks ago and everything has now fallen into place which is incredible. “None of this would have been possible at all without the Racing Steps Foundation, Tomax, Carlin and the support of RSF ambassador John Surtees so I am hugely grateful to all of them for giving me such an amazing, potentially career-changing opportunity. Having made his GP3 test debut with Trevor Carlin’s team last week at Paul Ricard in France, the British sensation produced an excellent performance during his maiden run in the Renault-powered Dallara, which was also his first experience of Pirelli tyres. Posting the 11th quickest time on the first morning, the quickest GP3 rookie, Dean improved to eighth fastest on the final afternoon. Carlin is unquestionably one of the most successful single-seater teams outside the world of Formula One with success in Formula BMW, Formula 3 and World Series by Renault. To date, the team has won an incredible 166 races since its inauguration in the late 1990s. The not-for-profit Racing Steps Foundation, established in 2008 by businessman Graham Sharp, was created with the aim of providing vital sponsorship for talented young racers who otherwise may not be able to ascend the motorsport ladder, regardless of their ability. Dean is one of just seven young elite competitors in car and motorcycle racing receiving support from RSF in 2010. Driver management company Tomax has also been instrumental in enabling Dean to secure his place on the GP3 grid this year. Among the company’s current clients are GP2 Series competitor Max Chilton and his British Touring Car Championship racing brother, Tom Chilton. Dean’s next opportunity to test his GP3 machine will come during the final official test of the 2010 pre-season next week, 13th/14th April, at the Circuit de Catalunya in Barcelona. The venue will then host the opening two rounds of the GP3 Series on 7th/8th May alongside the Spanish F1 Grand Prix.